Location: Salles-Curan, in the Aveyron departement of France (Midi-Pyrenees Region). Notes: Château du Colombier is located in low-cons of the locality of Mondalazac, in the municipality of Salles-la-Source, in the Aveyron department. The "den" was built medieval in a valley overlooking the main road which in the Middle Ages connected the main towns of Marcillac Vallon and Salles-La-Source (Before 1789: Salles-Comtaux) by Valley Cruou. 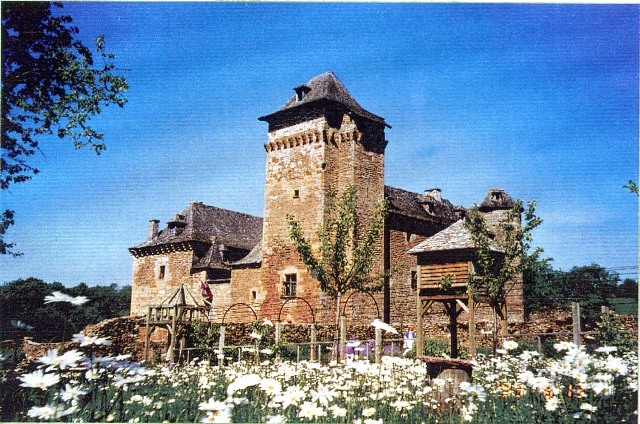 The Château du Colombier takes its name from the presence within its walls two dovecotes (pigeon) for the breeding of pigeons, at the time, for their droppings, columbine: manorial rights under the old regime.The building is registered as historical monuments in 1995.